The Vision Insurance Company, of El Paso, Texas, is a wholly owned subsidiary of the Loya Insurance Group and Fred Loya Insurance. All of the Loya Group subsidiaries are headquartered in the state of Texas. Loya’s primary line of business is automobile insurance. The Loya Group operates more than 360 insurance agencies in Texas, New Mexico, Colorado, and California with plans to expand their service area to Arizona, Nevada, and Illinois. At present, Loya insures over 500 thousand drivers and is one of the most rapidly growing insurance concerns in the United States. The Loya Insurance Group began in 1974 as a grassroots, family owned and operated insurance agency. From a single storefront location, the Loya Group and Fred Loya Insurance today ranks number 18 on the list of Hispanic Owned Top 500 Businesses in the US. The Loya Group employs more than 2600 business and insurance professionals. In 2009, Loya continued their expansion with the completion of two new corporate office buildings in McAllen and San Antonio, Texas. Loya Insurance Group specializes in automobile insurance, employing hundreds of claims adjusters and appraisers, attorneys and legal staff enabling Loya to swiftly and expeditiously process almost 7000 auto claims each month. The total of monthly benefits paid out by Loya exceeds $20 million. Loya advertises extensively in California and the Southwestern US, spending more than $20 million annually. A large portion of this advertising budget is used to reach the Spanish speaking community through popular Spanish radio and television stations and print media. 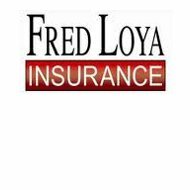 Fred Loya sells automobile insurance and a lot of it! Free rate quotes are available on the Loya home page. Enter your state from the selection of western states served by the Loya Group and a brief questionnaire pops up. In minutes, you’ll receive an accurate quote for car insurance in your city and state. New drivers or those with bad credit or poor driving records can still get liability insurance through the Loya Group. Low cost, affordable insurance for all who need coverage is the focus of the Loya Group. For prompt claims service, call toll free 800-880-0472. Claims representatives are on hand Monday thru Friday, from 7 am until 7 pm and on Saturday from 7 am until 2 pm. You can expect to hear from a claims adjuster within 24 hours of reporting a claim.